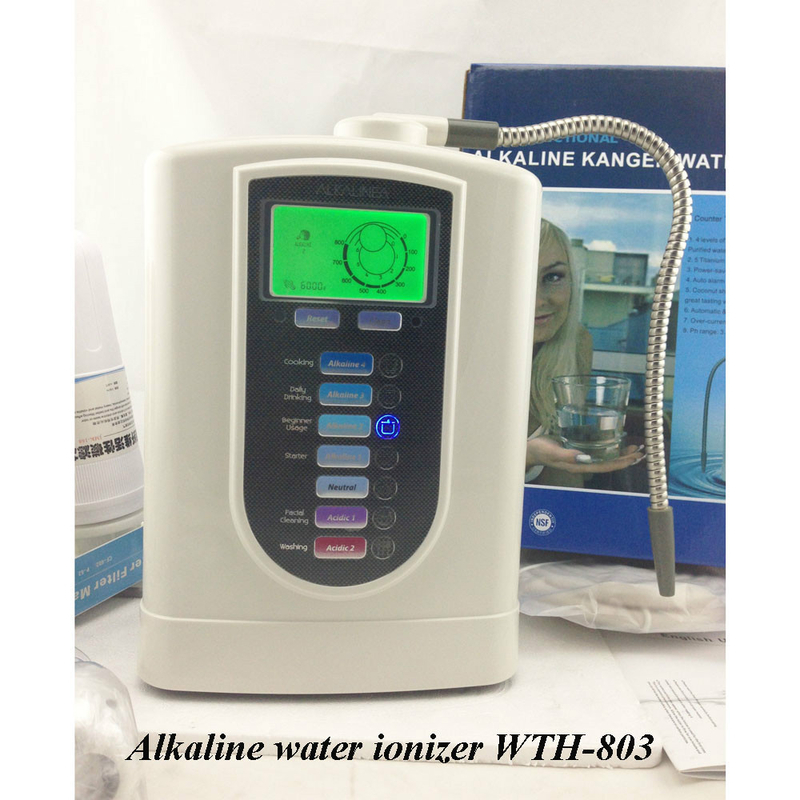 LCD screen: displays pH levels, 7 colors, water flow rate per minute, ionization indicator, remaining filter life for dual filter system, auto-diagnosis indicators, water purification, and sound. Life of pre-filter: PP cotton, non-woven fabric and active carton: 4,000 liters (1058 gal), Active Carbon: 12000 liters (3174 gal). Message to indicate filter change: LCD shows the life of filter and the voice will tell you if the filter needs to be changed. Voice function: when you press any key, it can be voiced.